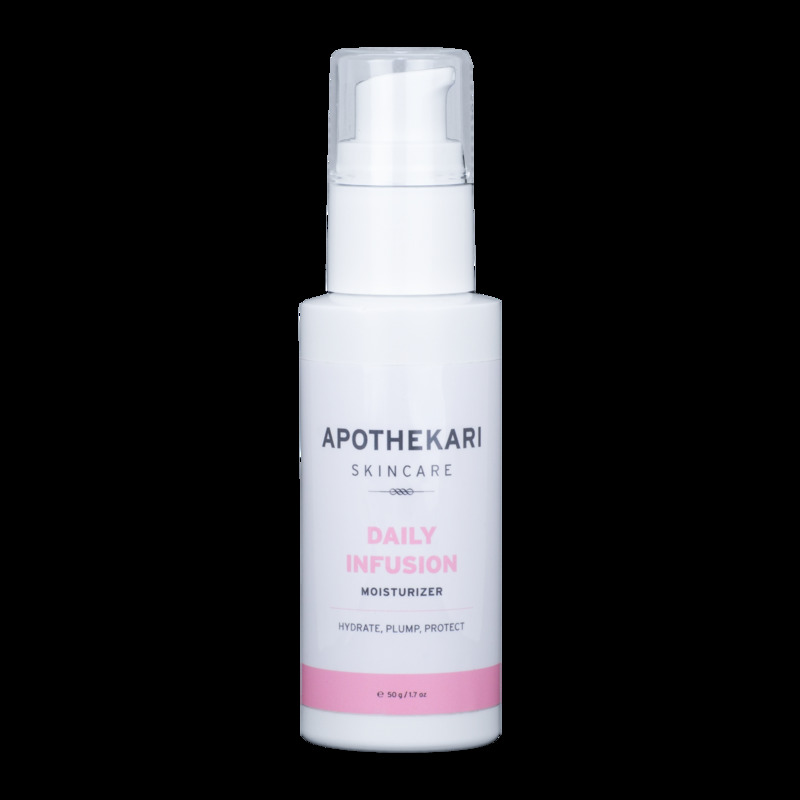 Apothekari Daily Infusion Moisturizer (50 g/1.7 oz) is the face moisturizer you’ve been looking for! It not only hydrates and plumps skin year-round, but also provides anti-aging benefits, protects against bacteria and leaves your skin feeling refreshed. What more can you ask for? Our face moisturizer was designed specifically for sensitive skin so it is ideal for all skin types including individuals with rosacea. Customers love this product because they find it hydrating without any hint of oiliness. It’s ideal for individuals with normal, combination and oily skin types. Fragrance free, Gluten free, Paraben free and Vegan. • Squalane. A naturally-occurring emollient derived from olives, which enhances the skin’s natural barrier function, warding off external damage. Boosts the skin’s ability to retain moisture, making it ideal for rehydrating dry skin. Apply Daily Infusion face moisturizer to clean skin once or twice daily to hydrate and plump skin.